As Senior designer at AKQA I led Nikewomen.com re-design, involved in the development of Nike Training Club iPhone and iPad apps and strategized and art directed global campaigns. Managed internal/external stakeholders and delivery teams to ensure that ongoing work is innovative, effective, on brand and delivered to budget and time. Strategically validated how ultimately, the creative work generates revenue growth for the agency and client. Delivered and ensured all global concepts were on brand, scalable and visionary. 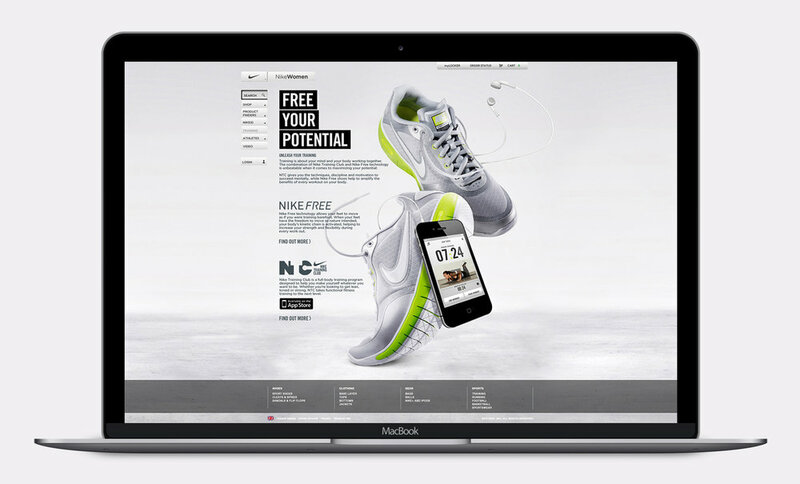 Led the creative aspect of Nikewomen.com re-design across 18 countries and 16 languages ($14 Million budget). Established Nike Women as a more fashion forward brand with an elevated design esthetic and lookbook solution to reach new markets and audiences. Managed the retouch of imagery, video content and translation. Insured quality control across 16 parallel localized websites. Managed a team of 5+ developers though the html 5 build pushing the team to break boundaries and use html 5 in new ways. Involved in the development of the award winning Nike Training Club iPhone and iPad apps. Early stage ideation, assets. 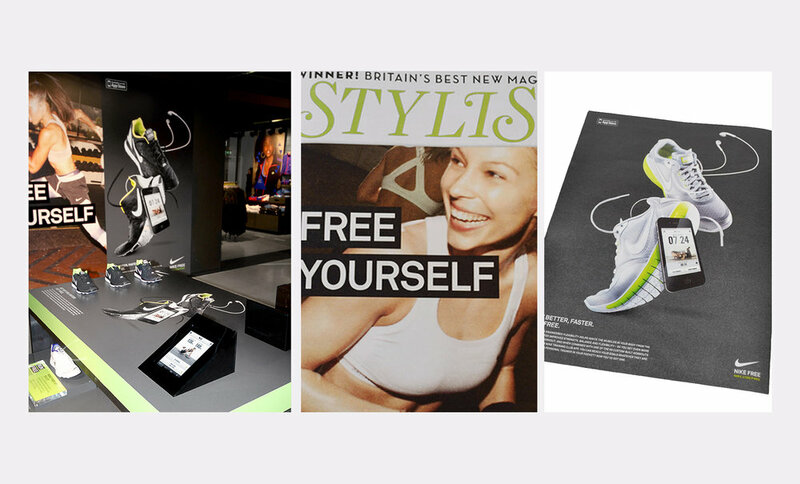 Concept and art direction on supporting campaigns including video content, online media, social strategy, in-store Artwork etc. Organized and art directed video shoot, managed from initial idea to final product. Managed supporting campaign projects, including website, app, eCRM, OLA, social strategy, and campaign films, ensured all creative work was delivered on highest possible standard and always innovative and relevant for the audience. Worked on seasonal campaigns, created innovative, insightful and strategically solution to keep pushing the brand further in the digital and social space, helping the brand to launch new key products. I focused on trend research across digital innovation, social and mobile shopping and mobile marketing. Fully emerged in target group and market research and strategy to provide insightful recommendations to senior level stakeholders, ensuring relevance across all deliverables.